You may have heard the writer’s motto before: “Never fall in love with your first draft.” Emerging writers, and even experienced writers, put so much energy into an initial draft that it can feel very final. While it is important to acknowledge that merely picking up a pen and applying it to paper is an act of courage, it is essential that writers engage in editing, revising, and rewriting in order to refine their pieces and take them to the next level. Additionally, when teachers facilitate well-planned tasks, the final stages of the writing process are an incredible opportunity for deepening relationships within a community of writers, as the efficacy of deep reading discussion around one another’s work builds trust, connection, and understanding. 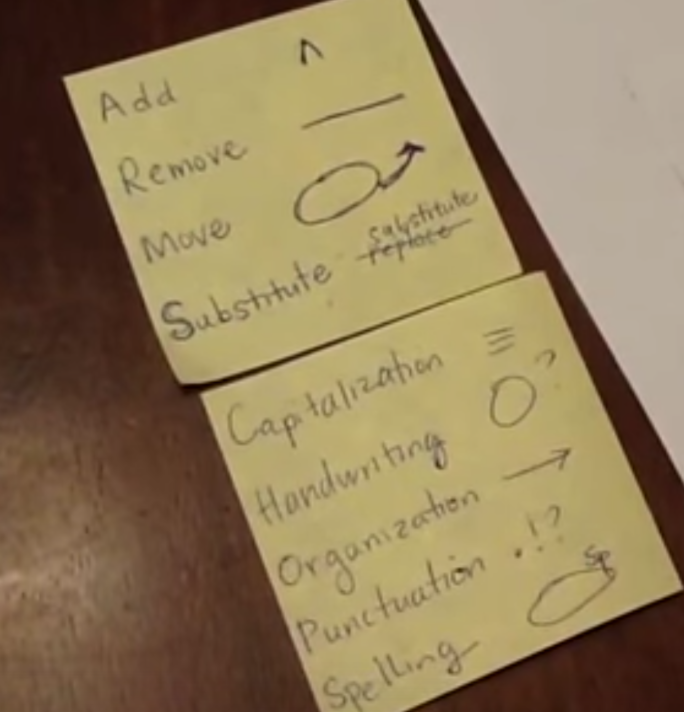 I have found it very helpful for students to have a finite set of symbols or codes for editing and revision, as well as the freedom to comment aloud and in writing on one another’s papers. If a teacher creates too many rules and restrictions and symbols, students will not revise or edit because they will feel constrained and will second guess the changes that they have occurred to them. I teach students the mnemonics ARMS and CHOPS for editing and revision at the very beginning of the year, and, as the year progresses, students build their concepts of the editing and revision skills involved through skill and technique lessons and isolated practice, application of those lessons to process writing pieces, and through students engaging in conferences with themselves (self-editing and revision), their peers, and with teachers and school partner volunteers. An essential practice I have found for teaching editing and revision is modeling and thinking aloud in front of students. The best modeling with thinking alouds refers to prior writing techniques and skills that have been explicitly taught to and practiced by the students prior to or during the writing process.The video below demonstrates modeling and thinking aloud with a piece of student writing. Be natural: It is important not to script your editing and revision demonstration. You want for students to see an authentic example of the time and effort it takes to engage in editing and revision. Refer back to concepts you have taught to students: Don’t make every correction. For example, in the video, there are certain corrections that I deliberately avoid making. I focus only on concepts that my particular students know, such as using commas for items in a list of series. Teachers of writing must know their students and their prior knowledge well and think of ways to assess this early in the year and continue to monitor and track progress. Read the writing piece aloud: Students must close read one another’s work and understand how to really analyze; reading aloud aids this as you can really hear the writing and must pay attention to every word, space, and piece of punctuation. As students rewrite their drafts in preparation for publication, I either have them type drafts in Google Drive or I provide lined paper with a decorative border or graphic relevant to the theme of the writing piece. For rewrites, I require two or three of these per assignments with noticeable changes on each one. As a more novice teacher, I saw second drafts with minimal changes – maybe the addition of a word or two or a few sprinkles of punctuation. Since then, I have emphasized to students that rewriting is not simply copying or retyping your first draft. There must be significant changes based on feedback that you have received, and rewriting is a time to experiment with your piece. If students have used Google docs when rewriting, it is very easy to view their revisions through the “See Revision History” feature. 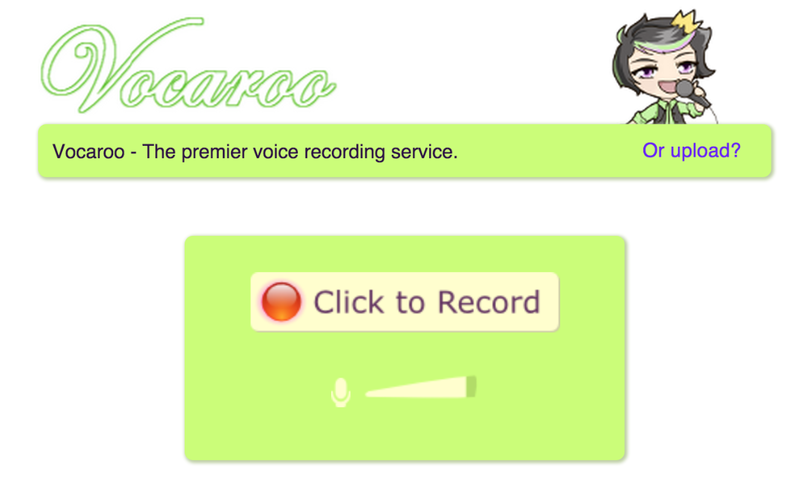 When students have completed their final draft, I require them to read it aloud using vocaroo.com and submit their recording to myself and a peer. The students catch a lot of “silly” mistakes this way, and it really helps to ensure that their published pieces are polished. Once students have submitted their final draft, I do not correct it before putting it on display or placing it in a class book. It is essential that students trust themselves and the writing process, and if I were to go and “fix” their work, it would diminish the students’ writing as an authentic demonstration of their progress and growth. When a process writing piece is completed, I always acknowledge that hard work that our community of writers has undertaken. Prior to the publishing party, we use class time to create invitations for guests that the students would like to invite to the party. Past guests have included school principals, members of the school board, teachers and students from other classes, coaches and after-school teachers, and, of course, parents and families. My classes have held potlucks, and I usually buy or make a cake as the centerpiece of the celebration. 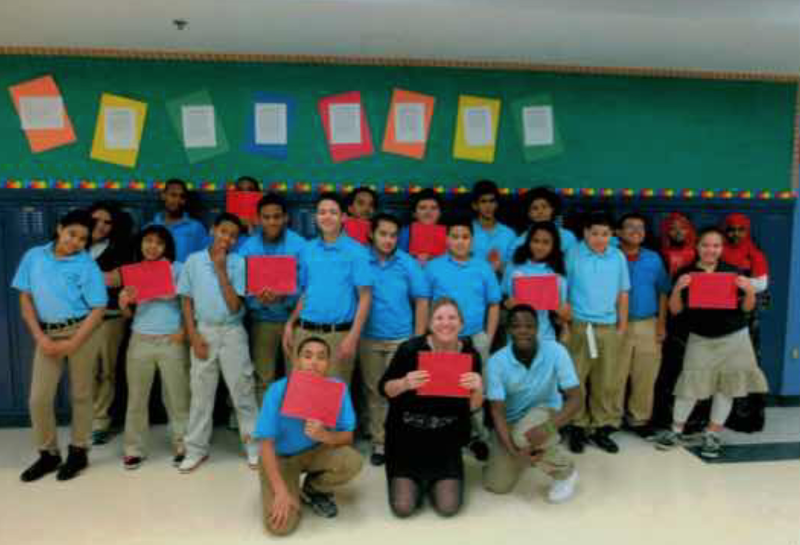 I also print class books for the students as keepsakes, and, during the publishing party, students read their pieces aloud and autograph one another’s books. Additionally, I will put students’ published pieces online and e-mail them the link to share on social media. During the party, I display the e-publication on a projector. I so enjoy celebrating the students’ work with them, and I have so many wonderful memories of publishing parties and events throughout my nine years in public education – and I hope to have many, many more in the years to come! This article is the last in a three part series on the topic of “Internalizing the Writing Process”.